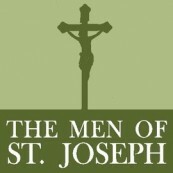 Thank you, to all the Men of St. Joseph who put together the recent pancake breakfast in honor of Haley Ketschke. Thanks to Mark Hadley who came up with the idea and organized the men. Thanks also especially to Jeffrey Pereira of Jeffrey’s Pizza who prepared the eggs, sausages, and home fries out of his pizza shop. Also, thank you to all the men who delivered this food to the school, who cooked the pancakes in the school kitchen, and who served in the chow line. It was a great event!